Even though The Brothers Brick’s official mascot is some type of strepsirrhine primate, our unofficial mascots have always been my pugs, first the late, great Mr. Pugsly and now Oliver Twist. 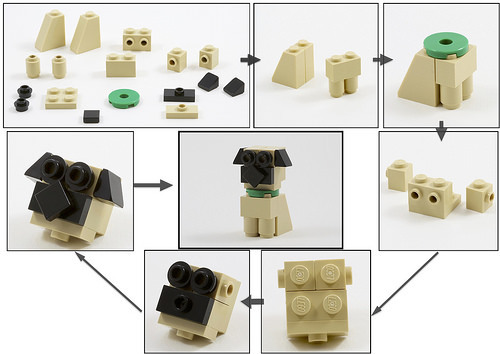 TBB’s own Elspeth De Montes created a LEGO version of little Ollie for our recent calendar contest, and she has just posted simple instructions for you to build your own LEGO pug. Thank you, I was just going to sit down and figure out the parts that went into this and then you posted it. Been wanting to make a Pug to represent my dog Bilbo.